website, I couldn't quite work out at the time what it was. This website was so different to anything else I had ever seen. and I thought, my, this girl is very popular! How, what, where ... ... what on earth was a blog???? I was hooked and I had to have one too. So I started to explore the World of Blogging, these being the very early days of blogging! our own voice and we can do it from our homes anywhere in the world. there were more, how exciting it was, more blogs, beautiful blogs.. I then travelled from Sweden on my computer to the USA and France and there I found more! My goodness, I was so impressed. So... that was it, I became an addict, a blogger addict ! it was like opening a treasure chest day after day. were very worried about me at the time as I had my head in the computer most days. this was the beginning of a beautiful new world. I still say to this day, it's not about the blog, it the people behind the blog. and all my styling jobs that I had been quietly working on while my children were little. my time with blogging and I had editors from leading magazines calling me at home to enquire into this new world of mine, they too wanted to be a part of it. I had been working on my 'Styling" product for years (and years), well before I began blogging. a lot to share and I now had a new format to use, how exciting it was! changing all my film to digital, do you remember that time? My blog is a blessing, a real blessing. if I didn't get my 'Styling" book/magazine out. (They were the pre-template days). So I had to learn about HTML. I can still feel the excitement and joy I felt each day as I met and received emails from fabulous people around the world. I don't get as much time these days to visit many blogs with work, but when I do I love the warm feeling I get as I drop by. 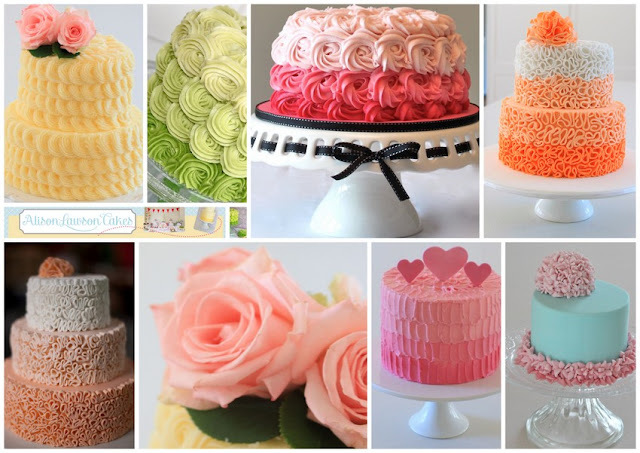 I have joined some wonderful groups and blog parties over the years which have been such fun! This post is just that, to celebrate blogging and share some new bloggers with you! to all collectively post on the one theme. I have so many favourite blogs and there are so many new girls/guys arriving that are fabulous! We were each asked to introduce someone new. ....and those of you that love baking will love this! and a very creative and clever cake artist. I'm sure you will love her blog! I do! Click here to see who everyone is sharing today. it was that invented the blog! Thank you! Thank you! 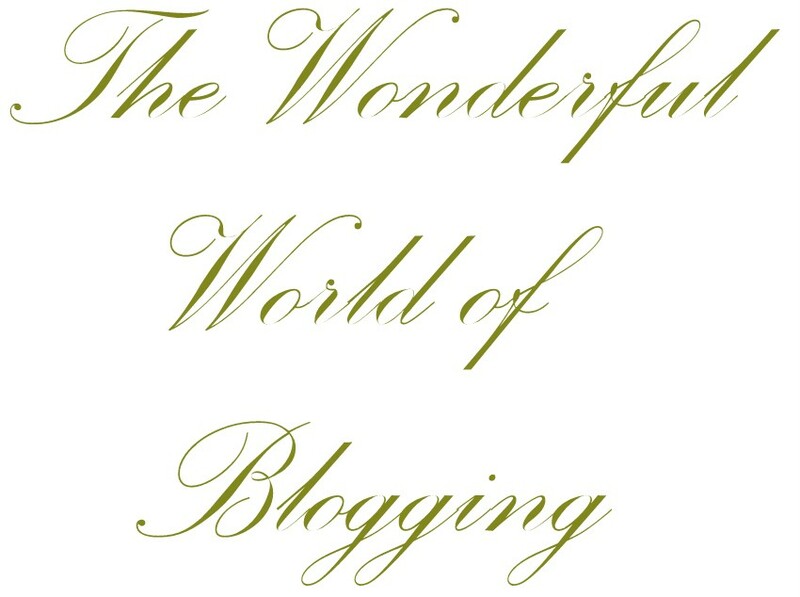 I so agree with you Coty, the wonderful world of blogging...your blog is one of the most beautiful I read; stunningly stylish. I'm going to pop across to Alison's blog now...thank you. Oh, how beautiful, Coty. I can say that I shared all your experiences with the beginning of a blog. We are all so much alike aren't we? And, of course, I'm going straight over to meet your friend. And, Al Gore invented blogging didn't he? Like he invented the internet. :)'s Sending love, precious Coty, I'm so happy you joined us today. Thank you for your lovely note today... and you will see that I have added you to my favourites... because of course you already were..:) Your blog is one of the first I look to for inspiration.. your creativeness knows no bounds... and I am so glad that we can all enjoy your beautiful work... I agree... thank you to blogs.. Thank you, Coty, to share all your blog experience with us! Is it not wonderful that we all come together ones a month, thanks to Marsha. Coty, the world of blogging has been a lifesaver for me...the incredibly encouraging and supportive friends from around the world! Thank you for being one of them! Hi Coty! It is so great to hear you chat about the journey of blogging and we can all relate to it! Well, I am most enchanted that you "wasted" all that time on your computer to bring us all the wonderful styling and amazing images that makes your blog a rich layered tapestry of beauty and inspiration that it is! It has to be the most amazing visually beautiful blog around! Thank you for the time you put into beguile us! Coty, your enthusiasm is completely infectious! I too came from the magazine world as a journalist and could not believe that people would actually leave comments about what I wrote and I still can't! The back and forth is what makes it so interesting. Thank you for a wonderful peek into the why of what you do. Well Coty you were my mentor when I was the" new kid on the block" and you continue to inspire me. Which Swedish blog first inspired you?